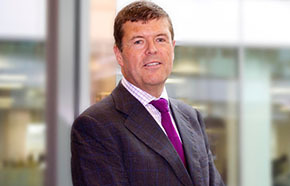 Paul Burstow – a former Minister of state for Social Care – has been appointed as Independent Chair of Hertfordshire and west Essex Sustainable Transformation Partnership (STP). Paul, 56, will take up the part-time post on 1 December. He said: “I’ve been following the progress of STPs up and down the country and I’ve been impressed by the commitment of Hertfordshire and west Essex NHS and local government to work together to put people and communities at the heart of new ways of delivering care and keeping them well. It is that drive that really attracted me to the role. Paul’s appointment follows a competitive selection process and formal approval by NHS England on Wednesday 28 November. Paul will work in the role for two years. A social policy expert, Paul is chair of national improvement agency and independent charity, the Social Care Institute for Excellence, as well as chairing north London-based internationally-renowned mental health organisation the Tavistock and Portman NHS Foundation Trust. Paul is also Chair of the National Advisory Panel of the Design Council’s Transform Ageing programme and Professor of Mental Health Public Policy at the University of Birmingham. An MP from 1997 to 2015, he was Minister of State at the Department of Health from 2010-12, and architect of the thinking and discussions which led to the Care Act.